$19.95 for all 4 books! I just finished reading the eBook of The Book of Wands. Dude, it totally rocked! P.S. Let me say a little more about how good it was: it's one of the best books I ever read. It's not just a book, but a Tool to help change your consciousness. It sets a new standard for what books are capable of doing, and for what I personally aspire to write someday. My deepest thanks for the book. I finished the last page of this brilliant manuscript�I must read it again. As a writer myself, I�m usually skeptical of large volumes, but was pleasantly surprised of the content and the ease of reading. 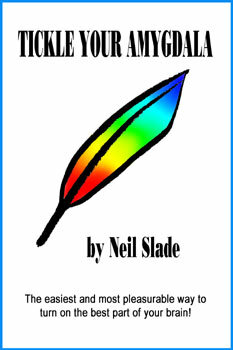 Neil takes you on an adventure from page one to the last page. His story incorporates scenarios that will keep you not only turning to the next page, but wishing that the end of the book never comes. This book is not only a must read but an adventure for everyone�adult and children alike! 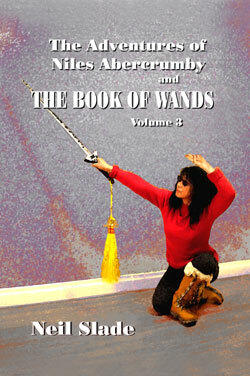 "Hi Neil, What an amazing book The Book of Wands is. My name is James, I'm 31 years old, I live in Ottawa Canada, I've been listening to Coast To Coast recently and I stumbled upon your show 2 days ago in the archive section. 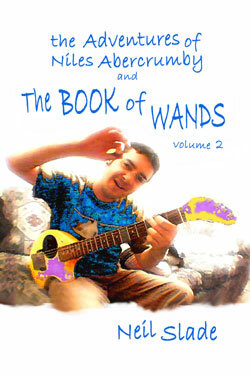 Wands in the title caught my attention right away and I had to listen, I ordered your book online- The book Of Wands is so Refreshing so Creative so Magicial, Mind Expanding and that you have been putting more of your energy into it, for the last year. WOW. Thank you so much for doing what you do. My eyes were watery at some parts and my emotions vibrating all over the place. Man can I relate to your experiences about girls, finding your own way, the journey, so much. I have a burning drive to learn, be happy and find my path in this crazy world. I find your read so inspirational I just wanna climb the highest mountain in my area and take it all in. I've had experiences 3 or 4 times in my life where maybe my frontal lobes have PoPPed like you say, the sensation was a surge starting at the top of my head, then like a super explosion of energy that blasted my mind and flowing threw my body that lasted about 10 to 15 seconds and I had such a peaceful clear feeling afterwards. The first couple of times this has happened to me I thought I was dieing but now I just let it happen and enjoy it when it comes. I am so excited about the possibility of traveling to other realities, it so fascinating to me. You have lifted my spirits so much, I just wanna THANK YOU sooo much for sharing your experience with me. -James." I just finished reading The Book Of Wands- I love it. I had so many experiences along the way and I traveled everywhere. I now have better brain control. This book was the trigger to understanding. Not only understanding of brain function but that of my own life. I see a little bit of me in every character...some more so than others. It has been a total BLAST reading it. I've read your stuff, fiddled around with a feather but really was only dusting until NOW. Thanks! I am definitely not your target audience! Without getting into specific details of why, you may assume I'm correct in my self-evaluation. Regardless, I've found your Book of Wands to be entertaining and engaging. Would I have every picked up this book at the store? "Absolutely not" is the only answer to my own question. However, am I glad that I stumbled upon your book and plowed through the first several hundred pages on my iPhone? I happy to say that I can give an unqualified "yes". Good luck and thank you. "SECRET OF THE DORMANT BRAIN LAB"
"Just couldn't put it down. And yes wands are real... I only had forgotten!" $19.95 for all 4 eBooks! 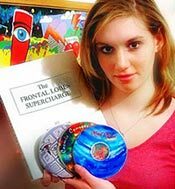 "Intro To Brain Magic" and "Tickle Your Amygdala Audio CD"
any other merchant, new or used, Amazon or otherwise at any price. 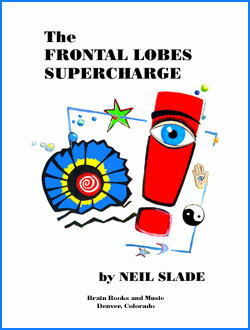 exclusively from Neil Slade Books! Brain Radar and how to use "Unusual Tools", ie. "Wands"
Incredibly presented as a colorful novel. only the names have been changed in this otherwise fantastic and wholly unique tale. The incredible story begins with Niles Abercrumby, a quirky young music teacher who quickly finds distaste for the world of convention, and so sets off on his own to create The Niles Abercrumby School of Music, Arts, and Other Stuff. He soon hooks up with a crazy renegade scientist who runs a remote wilderness brain laboratory, the legendary D.A.T. Stingo. Together, they open up a doorway into Otherworldly Travel, Brain Paranormal Experience, and The World of Unusual Tools. And that's just for starters! For the first time, reformatted and newly revised for this 2013 release in four volumes. "It would be my pleasure to have my letter on your site, as your material has done so much for me, in such short time. The Book Of Wands is so Refreshing so Creative so Magicial, SO Mind Expanding and that you have been putting more of your energy into it, for the last year. I really don't know what to say, its gonna be better and more Powerful than it already is, WOW. Thank you so much for doing what you do :-) James." 5.0 out of 5 stars A Brilliant Read! "The Book of Wands is a brilliant read, both as a humorous story, and as a guide for awakening what we may call the "magical" side of life. Being an experienced practitioner already, I still found this book refreshing and rewarding to read. Neil presents valuable information on a subject little understood in our culture, and his presentation is very fresh and original, using his own life story as a teaching tool for others to understand. I loved going back to the brain lab in greater detail (was already there from reading Frontal Lobes Supercharge and related readings) and from there, I really enjoyed traveling through Neil's life to learn about his particular application of various magical skills. Feeling like a "lone ranger" at times, it is always refreshing to read of others who have certain skills to see past appearances, and into the deeper nature of our reality. I found this book, while in a completely different writing style, to be related to the Seth books, in its ability to awaken abilities to travel and see beyond what we are conventionally taught to see and experience. I was sad to come to the last page, however, it wasn't long that I realized that the story continues, and that the next chapter would be written by me - and anyone else for that matter who applies the teachings and techniques shown in this book." 5.0 out of 5 stars :) Time well spent. "I think its a wonderful book :) I found it to be imaginative and funny. It's very personal. I feel like the book was a labor of love and Neil really put his heart and soul into writing it. It's his life story, his memoirs. I loved it. I've read it twice now. And let me tell you, that is no small feat! :| This book is super long. But its not boring-long. Its the kind of book that I wanted to read cover to cover in one sitting. But that isn't possible because there's just so much of it. Now one thing that should be noted about the book is that it is NOT a step by step wand construction manual. It's much more subtle than that. You'll be able to glean that information as you go through the book. I had questions about some things after reading it though. :) Fortunately Neil is a good dude and responded to most of the emails I sent him. Neil is a regular guest on Coast to Coast AM, so you can find and listen to the interviews he's done with them. They're really fun to listen to. " "A Masterpiece in every way." - Jim O'Brien, author, screenwriter. 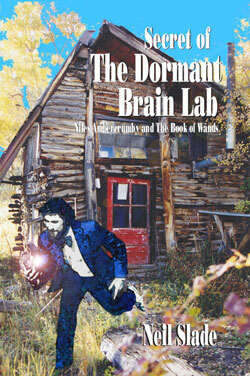 Secret of the Dormant Brain Lab is the new 2011 revised Book One (only) of the Complete Book of Wands. It includes an additional 30% more new stories and material, plus a improved chronology of that period of Nile's life not found in the original complete Book of Wands. This book primarily tells the story of Niles at Stingo's Brain lab from 1982-1993. The Complete Book of Wands includes the first edition of "Secret", plus the next three books in the Quadrilogy covering the period from 1993 to present. (See above, only as Online Download for ALL eBooks, Kindle, Nook, and ALL Computers PC, MAC using the free Adobe reader and Kindle Readers). Based on TRUE EVENTS, only the names have been changed in this otherwise fantastic and wholly unique tale. A MUST HAVE Brain book! EASILY explains in detail how you can turn on your own pre-existing brain circuits (they're waiting in there ready for you to click 'em on, folks...) for super intelligence, genius creativity, pleasure, and even start tapping into your ESP. For real. More fun than is usually legal. Highly recommended by Bloomsbury Review acclaimed national book review magazine- and everyone who has read it as well! Includes the 70 min. Intro to Brain Magic CD. Definitely interesting, and enormously useful. Based on real science and over 35 years of laboratory research, yet easy to understand, very enjoyable, with illustrations and complete instructions. Gives you the brain basics, frontal lobes games and exercises, stories, and more. A great detailed and scientific follow-up to for anyone wanting to know how their brain works, and how to make it work the way YOU WANT IT TO. PRINTED BOOK and ONLINE INSTANT available. 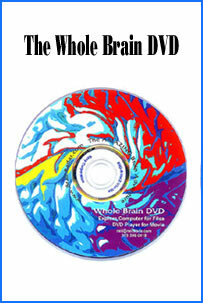 The new Web Interactive Online Version contains the full un-abridged 260 page book (different page count in download) in Adobe PDF (printable at your end) with interactive links to music, audio, photos, and video, as well as 11 exclusive high resolution printable Brain Lab (and N.S.) photos, and the 30 minute T.D.A. Lingo radio interview MP3 file--cool! Plus "Intro To Brain Magic"
Turning on the best part of your brain can be as simple as imagining a feather inside your head. And now, the latest brain science and brain imaging has proven that thought really is the most incredible Mind Over Gray Matter! The Amygdala has been a non-secret since this little magic brain button started appearing in mammals over 65 million years ago. It�s just that your kindergarten teacher- and everybody else- forgot to explain this to you after you finished putting away your blocks. This book will show you how to turn on the most powerful Brain Radar in the entire You-Niverse. It�s waiting for you right between your ears. Part One: The Illustrated Tickle Your Amygdala is a fun, simple, and quick explanation to help you get the general idea of what amygdala tickling is all about. Part Two: The Amygdala Tickling Three Course Gourmet Presentation includes "Detailed Explanations of Amygdala Tickling�, "Amygdala Interviews�, and "Ways to Do It�, including the science behind amygdala tickling and 52 Ways to Tickle- That�s a new way to turn on the best part of your brain for every week of the year. Featuring Neil's 56 conversations with: Marilyn Auer Editor-in-Chief Bloomsbury Review, Jeff Bailey Vegas Dealer, Dr. Lawrence Blair Psycho-Anthropologist, Josh Blue Comedian and Winner of "Last Comic Standing", Laurel Bouchier Acupuncturist, Jim Casart CPA, Dr. Cheryl Chessick, M.D., Psychiatrist, Paul Conly Pioneering Rock Musician, Vic Cooper Automotive Repair and Refinish Expert, Eric Daanger Musician , Sean Danato History-Psychology, Suzanna Del Vecchio International Oriental Dance Artist, Paul Epstein Musicphile/Businessman, Mark Foster Percussionist, Walter Gerash U.S. Supreme Court Attorney, Ina Hambrick Yoga School Owner/Teacher, Shari Harter Enquiring Mind, Glenda Heath Masseuse, Sarah Jaeger Ceramic Artist, Terry Jones founding member Monty Python�s Flying Circus, Bernd Jost Senior Publishing Editor Rowohlt Verlag, Paul Kashman Newspaper Owner, Ramon Kelley International Artist, Shirley Kenneally Recording Studio Owner, Dr. Stanley Kerstein, M.D., Physician, Julia Lu Artist, Jean Massey Behavior-Guidance Counselor, Mike McCartney Music Teacher, Michelle McCosky Apple/IBM Software, Tom Meyers Osteopath, Gary Michael Speaker/Consultant, Kent Miller Attorney, James Mullica Screenwriter, Dr. Robert Neuman M.D., Neurosurgeon, George Noory Talk Radio Show Host, Nils Olaf Psychiatrist, Marie-Louise Oosthuysen Brain Researcher, Bobby Reginelli Journalist, Robert Reginelli Sr. Stockbroker, Will Rickards Mountaineer, Kyle Ridgeway Physical Therapy-Neuroscience, Debra Ann Robinson Meditation Instructor, Broz Rowland Record Producer, Chuck Schneider Jazz Musician, Robert Schneider Writer, Dr. Britt Severson, M.D. Physician, Steven Snyder World Class Piano Technician, Elizabeth Slowley Massage Therapist, Palma Lee Stephens Neuro-Transcriptionist, Nancy Talbott Scientific Crop Circle Research, Thomas Taylor Barista, Karl Teriki Brain Education, Scout Wise Film Maker, Sky Wise Author, and even a few words from Frank Zappa Musician. All content throughout site, (c) and (p) Neil Slade 1097-2011 All Rights Reserved. "Brain Magic", and "Brain Radar"